If you want to buy a Johnsburg High School yearbook or sell your Johnsburg High yearbook, this is the place to do it. Just make a post below to find another person who went to school in Mchenry to make the trade. 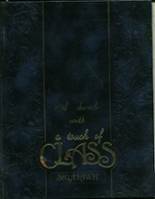 I can not seem to locate my final yearbook, anyone have extra, or tell me how I can get a copy right release to have another one printed. I also can't seem to locate my freshman (1986one also. Looking for yearbooks to replace a friends that were lost in a house fire. Looking for the years 1981, 1980 & 1979.